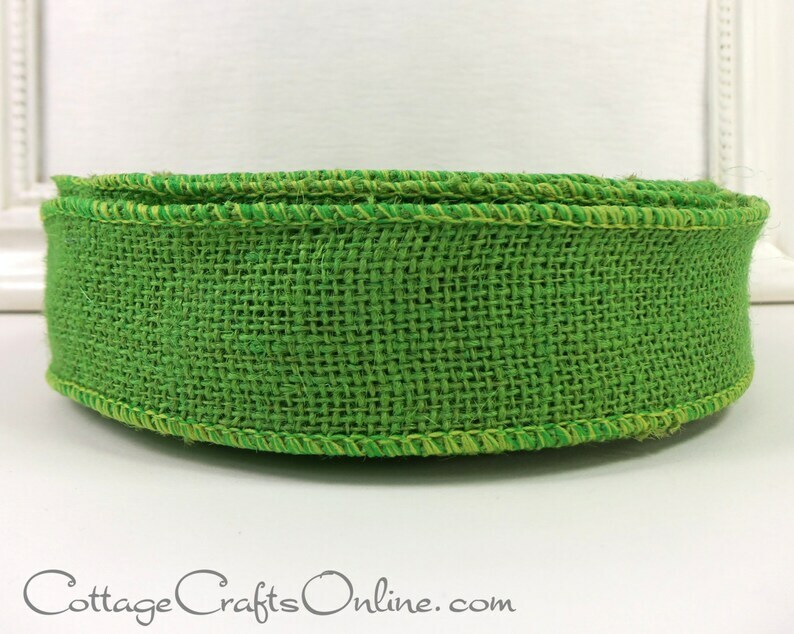 LIme green, 1 1/2" wideburlap ribbon, with a wired edge, 100% natural jute, by Offray Lion Ribbon. The wire edge makes it easy to form bows and loops which stay in place. -The color shown is approximate. We attempt to portray the color accurately; however, dye lots and monitors will differ. The natural fiber causes variations which are normal. This is excellent quality ribbon at a very affordable price. I love the color of it and will most likely be back for more. Thank you!